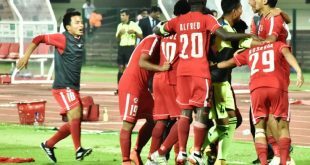 Super Cup: Aizawl FC upset ISL champions Chennaiyin FC on penalties! 2018-03-31	I-League, Indian Super League, Super Cup Comments Off on Super Cup: Aizawl FC upset ISL champions Chennaiyin FC on penalties! Indian Women’s League: Gokulam Kerala FC take apart Indira Gandhi ASE in 6-1 win! 2018-03-31	General Comments Off on Indian Women’s League: Gokulam Kerala FC take apart Indira Gandhi ASE in 6-1 win! VIDEO – XtraTime: East Bengal beat club juniors in preparation of Super Cup! 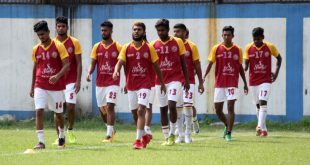 2018-03-31	I-League, Super Cup Comments Off on VIDEO – XtraTime: East Bengal beat club juniors in preparation of Super Cup! 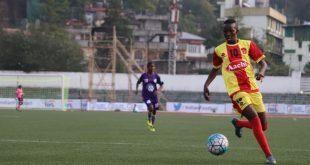 As XtraTime reports from Kolkata, East Bengal Club in their preparations for the ongoing Super Cup played their own Under-19 youth team and won 1-0 through a goal from Gabriel Fernandes. Indian Women’s League: Eastern Sporting Union beat India Rush SC to continue winning run! 2018-03-31	General Comments Off on Indian Women’s League: Eastern Sporting Union beat India Rush SC to continue winning run! Bengal look to defend title at home against Kerala in Santosh Trophy final! 2018-03-31	General Comments Off on Bengal look to defend title at home against Kerala in Santosh Trophy final! Indian Women’s League: KRYHPSA & Rising Student’s Club play out 1-1 draw! 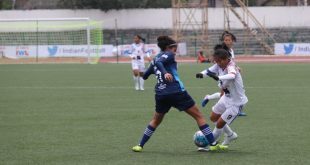 2018-03-31	General Comments Off on Indian Women’s League: KRYHPSA & Rising Student’s Club play out 1-1 draw! iSportconnect in partnership with ICAEW adds four new speakers to Finance Summit! 2018-03-31	Conferences, England Comments Off on iSportconnect in partnership with ICAEW adds four new speakers to Finance Summit! Super Cup: Mohun Bagan start from scratch against dangerous Churchill Brothers! 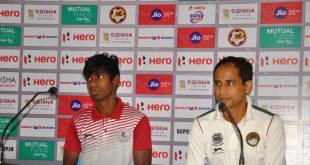 2018-03-31	I-League, Super Cup Comments Off on Super Cup: Mohun Bagan start from scratch against dangerous Churchill Brothers! VIDEO – 442oons: Bayern Munich vs. Borussia Dortmund – Der Klassiker (Parody)! 2018-03-31	Bundesliga Comments Off on VIDEO – 442oons: Bayern Munich vs. Borussia Dortmund – Der Klassiker (Parody)! I just love to watch the 442oons and their funny take on football and its matches! In the 442oons Bundesliga special series its about the Saturday highlight match, Bayern Munich vs. Borussia Dortmund, which in German is also called ‘Der Klassiker’! Super Cup: Bengaluru FC upbeat before taking on giant killers Gokulam Kerala FC! 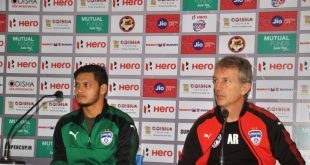 2018-03-31	I-League, Indian Super League, Super Cup Comments Off on Super Cup: Bengaluru FC upbeat before taking on giant killers Gokulam Kerala FC!